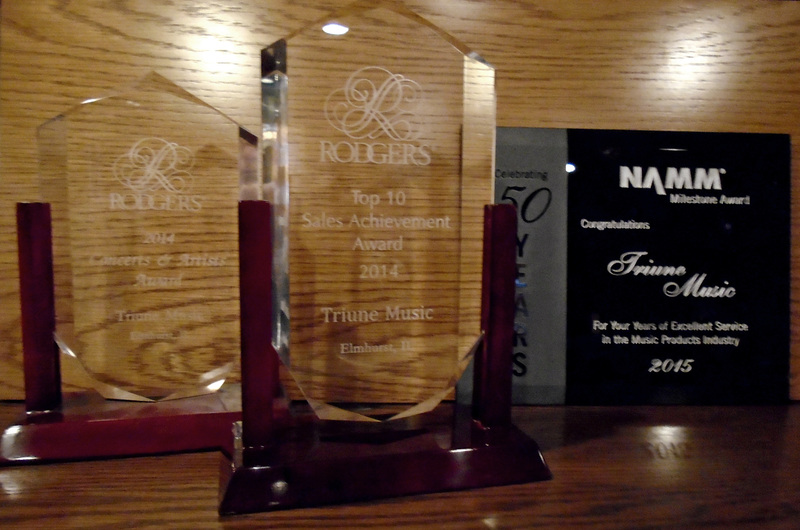 Three Separate Awards were bestowed upon Triune Music / S.B. Smith & Associates in January of 2015. 3) An Award from the National Association of Music Merchants to commemorate our 50th year in business. It was such a thrill to be recognized in front of hundreds of other music business owners along with other firms like Dolby that have also incorporated in 1965. We are most grateful to the many churches, temples, and individuals in the Midwest that have supported our efforts for these 50 years.